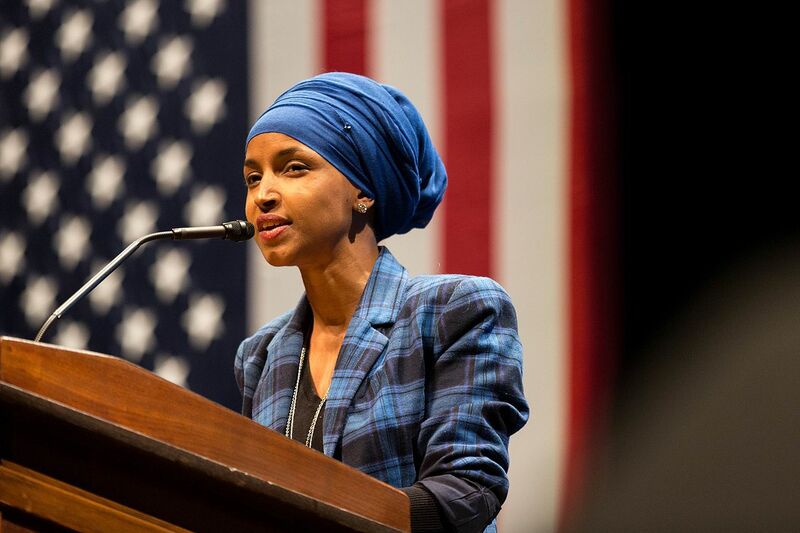 Representative Ilhan Omar (D-MN-5th) recently created a stir while tweeting about the corrupting force of money in politics. The first tweet was in reference to the Hip-Hop hit, All About the Benjamins. As seen when asked to explain her stance she responded with the acronym AIPAC or American Israel Public Affairs Committee. Everyone from House Minority Leader Kevin McCarthy (R-CA-23rd), House Majority Leader Nancy Pelosi (D-CA-12th), Senate Minority Leader Chuck Schumer (D-NY), and even President Donald Trump who went as far as calling for Rep. Omar to resign from the House of Representatives. Despite claims of every critic of Rep. Omar being Islamaphobic or anti-Semitic themselves, that isn’t entirely accurate. There have been cases of Jewish Americans coming forward saying the allusion to money, a common trope wrongfully placed on the Jewish community was hurtful. Rep. Omar would later apologize for that aspect of her tweets but remained strong to the corrupting influence of an organization like AIPAC. “Was the flippant way in which she phrased her tweets a problem? Did it offend a significant chunk of liberal U.S. Jewish opinion? Did it perhaps unwittingly play into anti-Semitic tropes about rich Jews controlling the world? Yes, yes, and yes — as she herself has since admitted and “unequivocally” apologized for. But was she wrong to note the power of the pro-Israel lobby, to point a finger at AIPAC, to highlight — in her apology — “the problematic role of lobbyists in our politics, whether it be AIPAC, the NRA or the fossil fuel industry”? No, no, and no.” Mehdi Hasan of the Intercept explained on Tuesday. “You had some very bad people in that group,” Trump said soon after Heather Heyer was murdered while counter protesting during the 2017 Unite The Right Rally in Charlottesville, Virginia. “But you also had people that were very fine people, on both sides,” he continued to describe those who were chanting “Jews will not replace us,” and the popular “blood and soil” Nazi chant, just several days prior. President Trump did not condemn the alt-right, the neo-Nazi’s anti-Semitic chant, nor their bigoted and violent political ideology immediately. It would take the President two days and only after intense political pressure to denounce white supremacy and racism in general. However, according to famed journalist Bob Woodward, Trump would later say his condemnation of the Charlottesville white supremacists was “the biggest f—ing mistake” he ever made. AIPAC uses the same tactics as the NRA to ensure that the United States never deviates from support for whatever policy the Israeli government is pushing at the moment. These days those policies are: undermining President Obama’s nuclear deal with Iran, suppressing efforts by Americans to use selective boycotts to end the Israeli occupation of the West Bank and the blockade of Gaza, and, as always, to prevent any pressure on Israel to advance peace with the Palestinians despite the fact that the United States provides more aid to Israel than to any other country. “I saw all of AIPAC’s tactics first hand. I also worked at AIPAC itself where, in the very office in which I sat, I watched my colleagues working hard and effectively to end the careers of politicians who deviated from the AIPAC line. (In the interests of honesty I should admit that I had no problems with AIPAC when I worked there. It was only years later, while working on Capitol Hill, that I came to understand that the policy of undeviating support for the Israeli government was not in American interests and that AIPAC sustained that support through rather scary intimidation),” continued author MJ Rosenberg who worked on Capitol Hill for over twenty years. The Israeli lobby also supports far-right wing stances and Israeli Prime Minister Benjamin Netanyahu, who pushed the Nation-State Law which has been widely condemned by scholars around the world. The Electronic Intifada was able to obtain The Lobby – USA, which was censored by Qatar after pressure to not release it. “AIPAC is a significant player in terms of lobbying, accounting for the vast majority of lobbying spending by pro-Israel groups, spending more than $3.5 million in 2018. The organization was staunchly opposed to the Iran Nuclear Deal in 2015, lobbied extensively against it and supported the Trump administration’s withdrawal from the agreement,” Open Secrets detailed on their website shortly after Rep. Omar’s comments. “Other pro-Israel groups are also prominent and active political spending forces each cycle. The 2018 midterms saw groups in the movement contribute more than $14.8 million, the highest total for them in a midterm since 1990. Contributions went predominantly towards Democrats who received 63 percent. Sen. Robert Menendez (D-N.J.) received by far the most money from pro-Israel groups in 2018 with $546,507,” they would continue.